shrink wrap film for 10ml 15ml 20ml 30ml 50ml e-liquid bottles. After DIY’ing for a while and introducing friends to some of the mixes, orders started rolling in. Started out with crude labels as it was just about the j00ce. Time moved on, wanted to at least get something decent looking, got a nice wirelss label printer with rolls of tape, basic labels, off to the races. I wanted to be able to put shrink bands on my 10, 15, 30, and 50ml plastic bottles just to step it up a bit. Had no idea how hard it was going to be. Purchased more than a few off of Amazon, and all had about the same problem. They always deformed (you’ll see in the pictures), and just didn’t work. Sure, they shrank, but didn’t look good, and some just looked terrible. After more purchases than I’ll admit, made one final order from Amazon and they WORKED, and I noticed something. 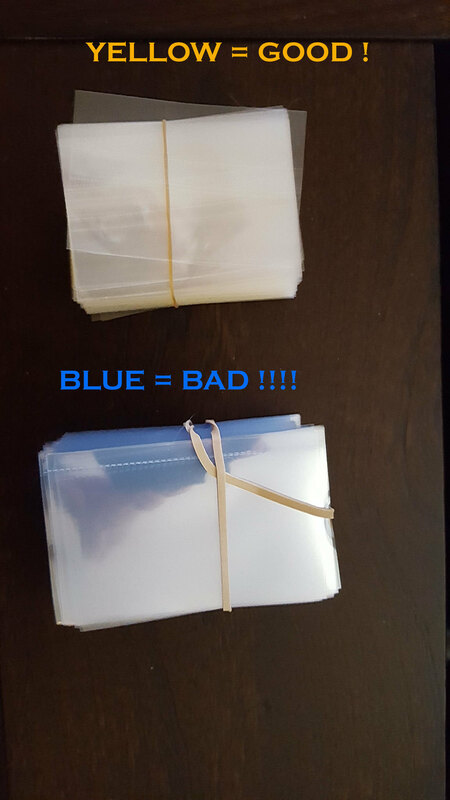 ALL of my previous (fail) purchases were all a BLUE-ish tint. On the order that worked, they had a YELLOW tint. Wait a minute, really ??? I tried and wasted tons of the BLUE ones on plastic bottles (numerous sizes), glass bottles, didn’t matter what I tried OR what size, same fails. Tried the YELLOW ones and they worked every time. Hair dryer is o.k. but you just really need a heat gun for fast, easy, consistent results, which I do have. No clue how I would ever find the YELLOW ones again. MUCH frustration, searching ensued. Randomly stumbled across a YouTube vid showing ??? YELLOW bands in MANY sizes !!! Yes, they DID work in the video, and I needed them. Went to the companies site (in China) https://www.kkemc.com/heat-shrink-wraps-for-30ml-eliquidejuice-needle-dropper-bottles-cheaper-shrink-wrap-film-free-shipping200pcslot_g29.html 9 and bought every size available. Had some hesitation ordering direct from an unknown company direct from China, but how could it get any worse. Much to my surprise “ePacket” got it to me in the states from China in about 8 days. You gotta be kidding me. Tried all sizes, multiple times before declaring victory, and I have. 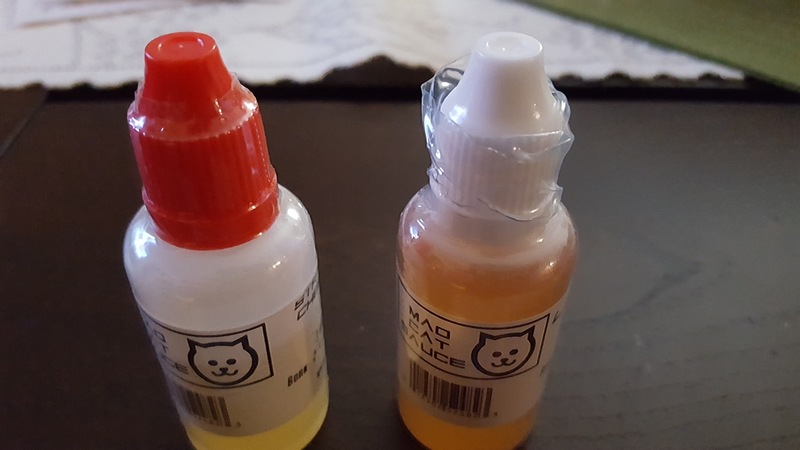 They have sizes for 10, 15, 30, and 50ml bottles, and I’ve tested on glass/dropper bottles, and my normal plastic w./ childproof caps and they just won’t fail. They are perforated for easy tear off’s as well. I’m sure you COULD wreck them with too much heat, or incorrect installation, but I haven’t been able to make one fail. Slide on the bottle, turn on heat gun, spin the bottles as it’s heating, DONE. It may seem trivial, but it adds a cheap, nice touch to the bottles, gives new customers piece of mind. Just remember Blue = Bad, Yellow = Good !!! How to measure the bottle and customize your shrink film size? Measuring the diameter of the bottle and send it to us. Please measure the maximum diameter of this bottle or Cap. 2. Measuring the height of the bottle to shrink and send it to us. Please note that if your cap is sharp, please do not measure the total height of the bottle， please check the following picture. The perimeter of the bottle is 47.1mm(3.14*30mm=47.1mm), the film perimeter more than the bottle perimeter 2-3mm. so the film width is 49mm or 50mm. Please send the diameter and the sealing Height to us, then we can custorm shrink film for you. Please choose the following tools if you don’t have vernier caliper. Measure the perimeter of the bottle with a rope， then send the perimeter to us. 2. Measure the sealing height of the bottle with a straightedge. Please send the perimeter and the sealing Height to us, then we can custorm shrink warp for you. The shrink wrap film is suitable for 10ml 15ml 20ml 30ml 50ml Plastic dropper bottles, You can shrink it use hot air gun or shrink wrap machine.